Having a website is vital for any organization or individual. This is because through the website one can be able to interact with the desired audience and get to communicate to them whatever information they wish to pass across. However, if you decide to make your own website one has to really focus on the design the website for a number of reasons. The design of the websites helps to bring out the purpose of the website. It complements the reason as to why a person decided to put up the website in the first place. If the aim of the website owner is to entertain or even provide an interactive platform, the design helps to facilitate just that. The website design provides a means through which the site owner can communicate to his or her audience about that information that they would wish to pass across. The design helps to arrange the information using headlines, bullets and sub headings, in a way that it is easy to read and grasp. Most often a person surfing through websites just does a quick scan of the website to determine whether or not to even read it. The scanning often follows a letter F pattern where a person looks at the top, the left then the right screen side. A good web design would be able to take that into account. A website might be having good content. But as long as the font type or size is not appropriate, the reader would be put off. A good web design would consider using font types that are easy to read so as to ensure that the reader is able to read articles comfortably. The colors that are used for the website often represent the organization’s theme. However, the colors should also attract the reader to the website and make reading of the page easy. A website design would ensure a color palette that makes the user’s experience on the site worthwhile. A picture says numerous words and this is the reason why websites are often full of pictures. Having images of the right quality and relevant to the content helps a lot in furthering the objective of the site. A web design would ensure that it happens. 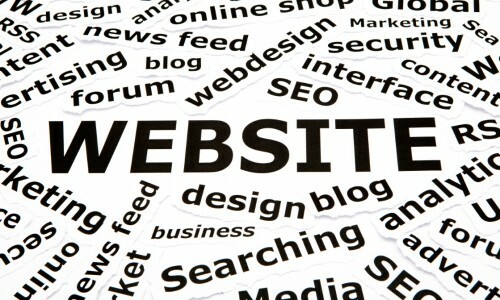 A website design ensures that the website is neat, orderly and that the content and articles have some systematic flow. The website not only becomes organized but also less cluttered. This in turn ensures that a reader is able to read though the different articles without much trouble. A good website is one which a person is able to navigate from one section to another or from one web page to the other without getting lost. Efficient website design ensures that the pages have a logical hierarchy and adopts the three click rule. This makes it easy for a person to locate whatever it is they are looking for on the website. It is frustrating trying to open a website and it takes ages to load. A good web designer would be able to come up with ways of making load time more effective. For instance one could optimize image sizes so as to speed up their load time. These days’ people access websites using a number or devices such as tablets, and mobile phones. A person should ensure that their website can be conveniently accessed using any device that exists out there. A web design would ensure that the site is accessible through these platforms.